BlogHome Blog News, Party Planning, Uncategorized Celebrating the holidays on Vancouver Island? We’ll do your dishes! The holidays are right around the corner. It’s a time of gratitude when friends and family come together to share in the joy of the season, feast on mouthwatering turkey, and generally share the merriment of being with those you love. But following the laughter and full bellies of those dozen or so guests (who conveniently didn’t seem to hear when you asked for a hand stirring the gravy), what “thanks” are you left with? A kitchen overflowing with dirty dishes, a mad scramble to hand-wash six more forks for dessert and the unappreciated task of putting back all the chairs, stools and ottomans you commandeered from elsewhere in the house so that every last unappreciative guest could have a spot at the table. This year, if you live on Vancouver Island, Relay Event Rentals can make your Christmas dinner enjoyable for everyone—including you! Here are seven ways we can help make 2015 your best Christmas yet! We’ll do the dishes! Imagine having all the plates, bowls, salad forks and glassware for your entire crew – and they all match! Ready for the best part? When you’re done, simply stack it all up and we’ll pick it up in the morning. 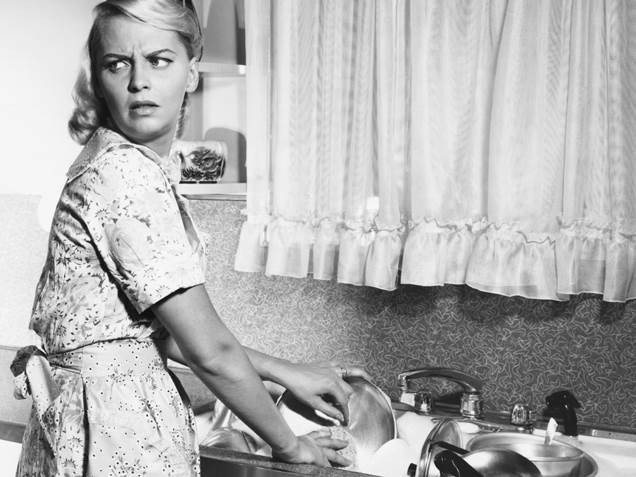 That’s right – We’ll do the dishes! We have chairs – and tables! Don’t worry about who’s going to end up sitting on the footstool this year. Rent all the folding chairs you need and leave the ottoman and recliner in the living room! We can even rent you a family-sized table so everyone can actually eat together for once! We deliver it all and pick it up the next day. We can help you take it outside! Whether you’re in the Comox Valley, Nanaimo or Qualicum, you live on Vancouver Island, home to the best climate in the world! (Quiet down, Floridians . . .) So why not take your holiday crowd outdoors this year? You’ll be ready for any type of weather with our marquee and pop-up tents, outdoor space heaters and assorted tables, chairs and linens. As a bonus, your guests from the Prairies will love telling their friends where they ate Christmas dinner this year! We’ll make your Christmas dinner unforgettable! Candy cane margaritas, anyone? Rent your own slushy machine and let the good times roll with a never-ending flow of adult friendly (or child-friendly) beverages. (Eggnog piña coladas?) We can even supply the appropriate glassware (and wash them afterward)! Kids of all ages will love our bubble machine, old-time popcorn maker and snow machines. We’ll help you go festive! We’ve got what you need to up your style this year, from vases, candelabras and place card stands to sashes, overlays and napkins in a wild variety of colours. We can also supply mason jars, milk bottles, paper straws, wine clips and twinkle lights – everything you need for a unique, festive and thoroughly holly jolly Christmas. There’s even the option of renting a roll-away cot for the little people (or for Grandpa’s after-dinner nap). We’ll do the dishes! Just wanted to make sure you saw that the first time . . .
Click here to view our rate sheet. We’re adding to our inventory weekly, so give us a call or email info@relayevents.ca with any questions or to book your rental. We’re happy to help make your Christmas dinner the best ever!